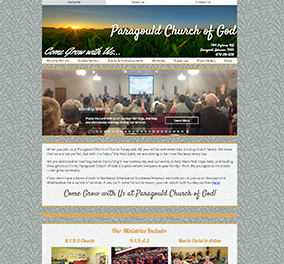 Give your congregation a second place to gather, with a professional church website. When people search for a church or religious organization, they want quick access to information. We put your info front-and-center, so giving people the info they need is simple. Show your congregation beautiful pictures of your church family, events, and even your sanctuary. You can also upload and edit your photos at anytime. 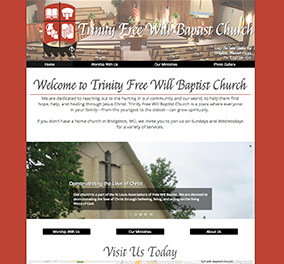 Your church website will be mobile-ready and user-friendly. 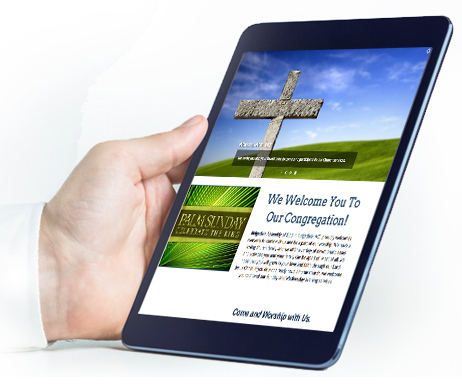 Church members and visitors can seamlessly view your site on a smartphone, iPad or desktop computer. Our experts will write a detailed overview of your church's mission, values, charity work and more. We'll let others know exactly what your church believes and how you want to spread your message. The modern world is full of people using social media to connect with the entire world, or their neighbors next door. 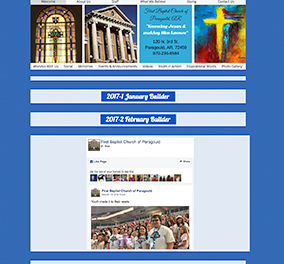 Keep your congregation up-to-date through social links and buttons that link to your social media accounts. Do you record your pastor's sermons, or like to show off video of your church events for others to see? We make it easy for anyone to embed a video onto their website for others to enjoy! 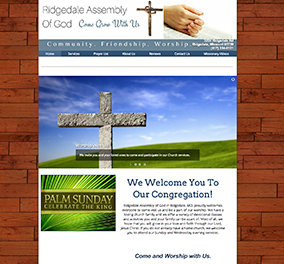 We work with you to develop your ideal church website design. We help put your church in their hands. and show the world your mission.